The Excellent Fuel Economy Reports Keep Coming In – 28 to 30 mpg! – Dave the #NVguy now at Garlyn Shelton Nissan in Temple Texas, is your Nissan Fleet and Commercial Sales Specialist. Talk about a Very Happy New Sprinter Owner – Darren is that Guy! He purchased his new 2014 Sprinter 2500 170″ wheelbase high roof with the 2.1 liter twin turbo diesel 4 cyl engine, on a Saturday a short while back. He left Sunday on a cross country trip from Austin Texas to Asheville North Carolina, going through Tennessee and the Great Smokey Mountains. He had about 2000 lbs of cargo in the van. He said he was able to keep his speed just under 70 for much of the trip, and he said he used the cruise control which kept the engine rpm’s very consistent through the trip. He was very pleased with the power and performance of the engine. 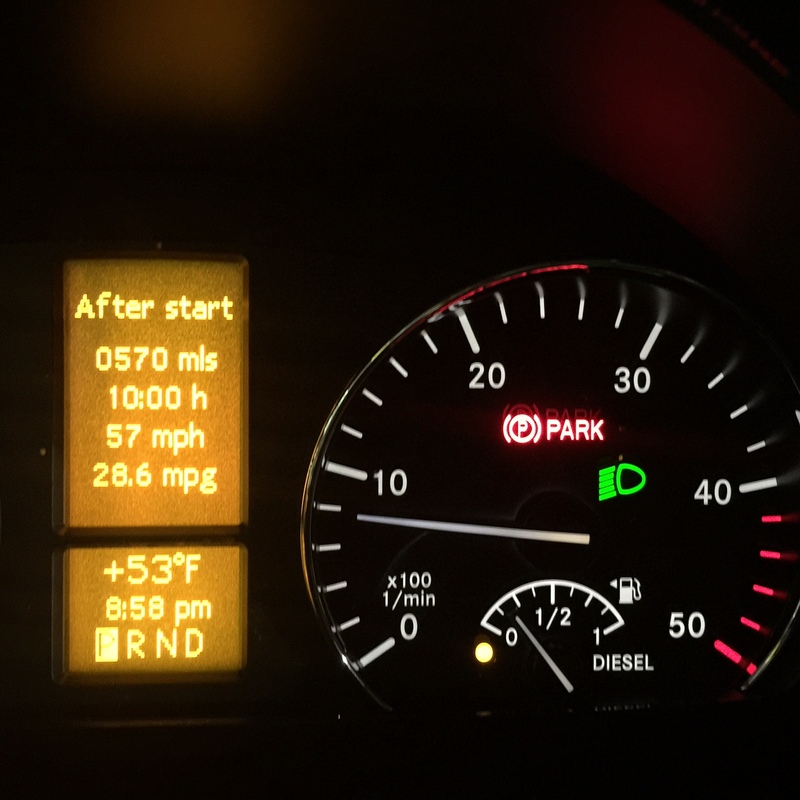 Now remember this is a brand new van with not even close to being broke in and here is what he was able to get for fuel economy on two stages of the trip. Just click on the photo to enlarge it. 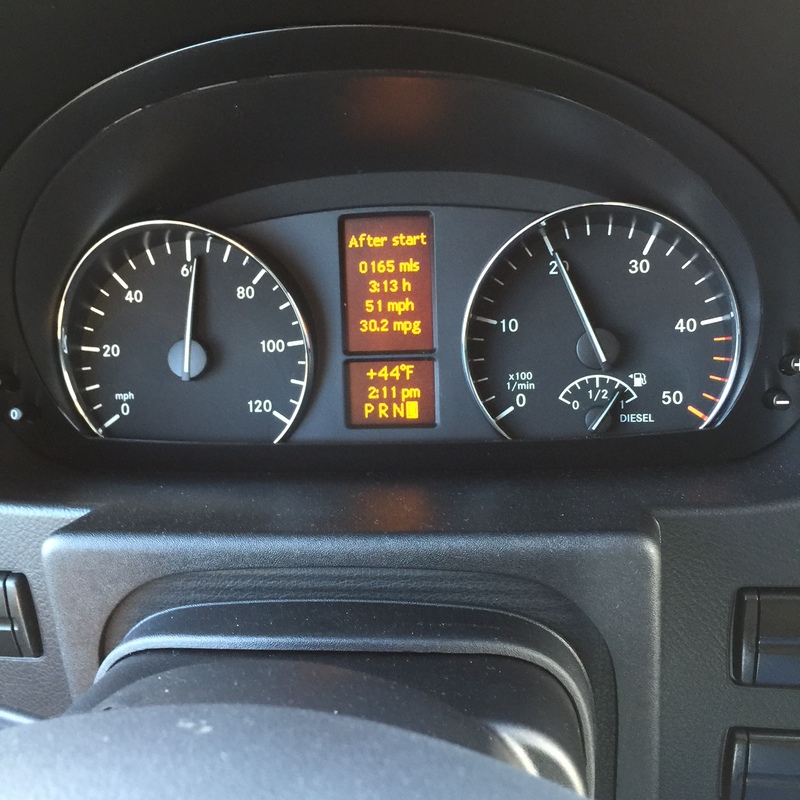 I have many happy Sprinter owners with the very efficient 4 cyl twin turbo diesel engine with similar reports. That is why you should consider getting a new Sprinter Van from the Sprinter Guy, so you can give me reports of fantastic fuel economy, great load carrying capacity, unbelievable handling and a timeless style that shows you made the wise decision to own the best full size van available. I'm ready to buy, what are your best deals? I'm just starting to consider a full size van and need more info. My first Sprinter 4×4 was built today in Germany!